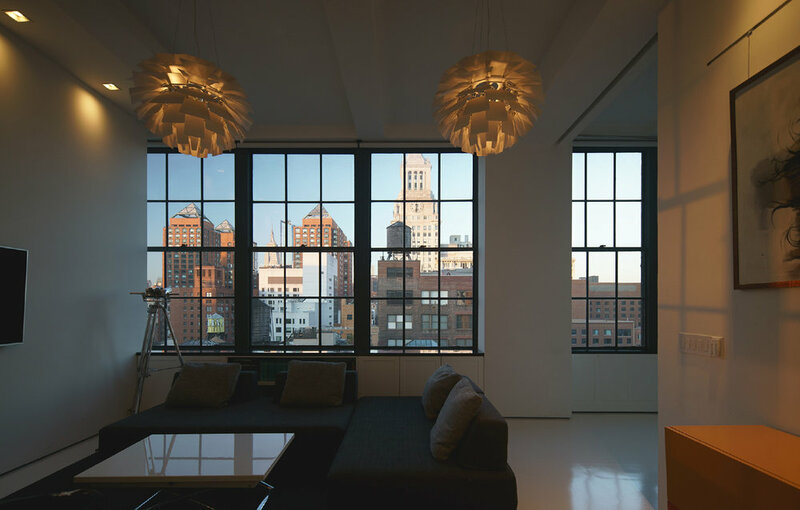 4TH AVENUE STUDIO is a project that was completed in 2015 but was only recently photographed by architectural photographer Scott Benedict. Lucky for us, the space has held up incredibly well and looks even better than the day we finished it. A lot was accomplished with this L-shaped 600 s.f. alcove studio that was definitely helped along by a knock out view of Midtown Manhattan and the romantic narrative of the "rough" but comfortable "industrial" ambience.